Officially established in December of 2016, the Gateway Chapter of the Army Aviation Heritage Foundation and Flying Museum is located in Saint Louis, Missouri at Creve Coeur Airport (1H0). 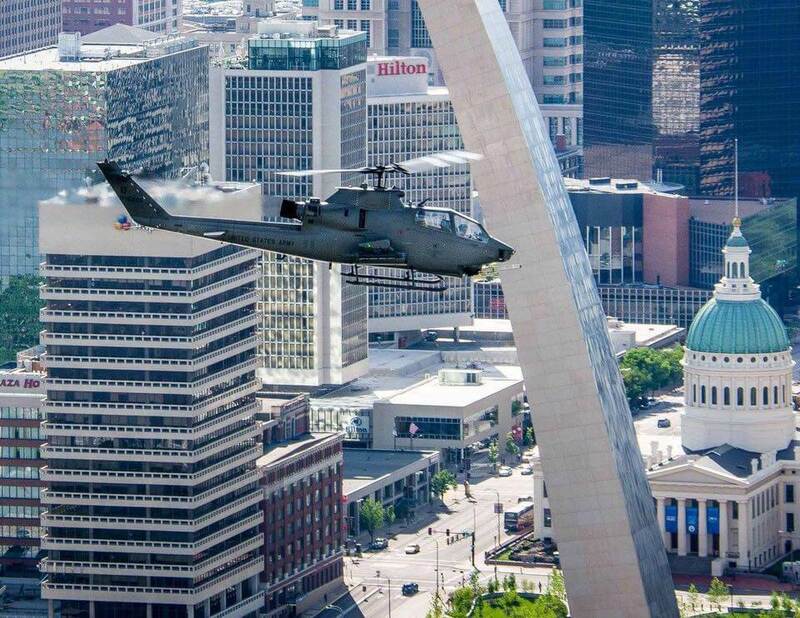 The Gateway Chapter is home to OH58-A+ 71-20541 and UH-1H 70-16315. Huey 315 has the distinction of being the last UH-1 helicopter to be retired from the Corpus Christi Army Depot where it was assigned as the Commander’s aircraft. Listed as scrap on the list of available aircraft available for transfer from the GSA program, Huey 315 was a pleasant surprise when it was discovered to be a complete serviceable aircraft. After many hours of research and logistics planning by our dedicated group of volunteers and with support from AAHF Headquarters, Huey 315 made a 2000+ mile journey via truck from Lakehurst, NJ to its new home at the Gateway Chapter in Saint Louis, MO. As restoration and inspections are completed, the aircraft and the chapter members will be able to support the AAHF to “Preserve the History, Protect the Legacy, & Promote the Future of Army Aviation”.